Osgoode Hall Law School, LL.B. Kaeleigh’s practice involves analyzing the competitive implications of mergers, strategic alliances and joint ventures; the preparation of pre-merger filings under the Competition Act; providing advice on the conspiracy and other criminal and civil provisions of the Competition Act, including matters relating to domestic and international investigations and prosecutions, undertaking and managing internal investigations, and assisting companies in real-time to respond to investigations by the Competition Bureau and other regulators; assessing and developing competition law compliance programs; and advising on foreign investment matters under the Investment Canada Act. 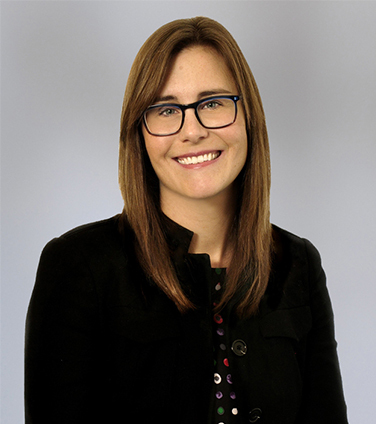 Kaeleigh joined the firm as a summer student in 2006 and returned to complete her articles in 2007-2008, during which time she spent three months at the firm’s New York office. Office Depot Inc. in its US$1 billion acquisition of THL Portfolio Holdings Corp.
ChemChina in connection with its US$43 billion acquisition of Syngenta AG. TELUS Corporation in connection with its proposed acquisition of Manitoba assets from Bell upon closing of the Bell-MTS transaction. iCON Infrastructure in its agreement to acquire Capstone Infrastructure for $480 million. Procter & Gamble Inc. in its US $12.5 billion agreement to merge part of its fragrances, hair colour and colour cosmetics business with Coty Inc. The ADT Corporation in its proposed US $7 billion sale to Apollo. Canadian Oil Sands Limited in its response to Suncor Energy Inc’s unsolicited takeover bid valued at $6.6 billion. Apax Partners/Azelis Group in connection with the acquisition of specialty chemical distributor Koda Distribution Group. Panasonic Healthcare in connection with its proposed US$1.1 billion acquisition of Bayer’s diabetes care business. TPG Capital L.P. in its acquisition of a majority stake in Cirque du Soleil. Tim Hortons Inc. in its $12.5 billion merger with Burger King, which will create a new global powerhouse restaurant company based in Canada. Manulife Financial Corporation in its $4-billion acquisition of the Canadian-based operations of Standard Life plc. The deal combines Manulife, one of the largest insurance companies in the world, and Standard Life Canada, the country’s fifth-largest insurer. Canadian counsel to JPMorgan Chase & Co. in the sale of its physical commodities business to Mercuria Energy Group Limited, a global energy and commodities trading company, for $3.5 billion. Devon Canada in the disposition of some of its Canadian conventional assets to Canadian Natural Resources Limited for $3.125 billion. Entertainment One in its acquisition of Alliance Films. Winsway Coking Coal Holdings Ltd. and Marubeni Corporation in their proposed $1 billion acquisition of Grande Cache Coal Corp.
Walter Energy in its proposed $3.3 billion acquisition of Western Coal Corp.
Canwest Global Communications in connection with the sale of each of its broadcasting businesses and its newspaper and publishing businesses. ConocoPhillips in the sale of its interest in the Syncrude joint venture to Sinopec. World Color Press Inc. in its $1.4 billion business combination with Quad/Graphics, Inc.
NOVA Chemicals Corp. in its US$2.3 billion acquisition by International Petroleum Investment Company (Abu Dhabi). The Legal 500, 2019, Next Generation Lawyer, Competition and Antitrust. Who’s Who Legal - Competition - Future Leaders, 2018. “Making” Effective Presentations to the Competition Bureau”, Canadian Bar Association Competition Law Section 2019 Young Lawyers Conference, April 25, 2019. Participating as a Judge in the Canadian Competition Law Moot 2019. Fundamentals of Canadian Competition Law (3rd Ed), Chapter 15: Powers of Investigation, Canadian Bar Association, 2015, co-authored with Michelle Lally (Osler). The Essentials of Merger Review (Canada Chapter), American Bar Association International Law Section, 2013, co-authored with Shuli Rodal (Osler). The Treatment of Vertical Price Restraints under the Competition Act: A Retrospective, Canadian Competition Law Review, Vol. 25, no. 2, co-authored with Michelle Lally (Osler). Recent Developments in Merger Review, Canadian Competition Law Review, Vol. 25, no. 1 Summer 2012, co-authored with Shuli Rodal (Osler). Canada’s Revised Merger Enforcement Guidelines, American Bar Association’s International Antitrust Bulletin, Volume 3, 2011 (co-authored with P. Glossop). Mergers: A Year in Review, 2011 Fall Conference, Canadian Bar Association, Competition Law Section (co-authored with S. Rodal). Commissioner of Competition Initiates Abuse of Dominance Proceeding Against the Canadian Real Estate Association, American Bar Association’s International Antitrust Bulletin, Volume 2, 2010.